This is the second store to open its doors at Hendrick Automotive Group's Southpoint Automall site. 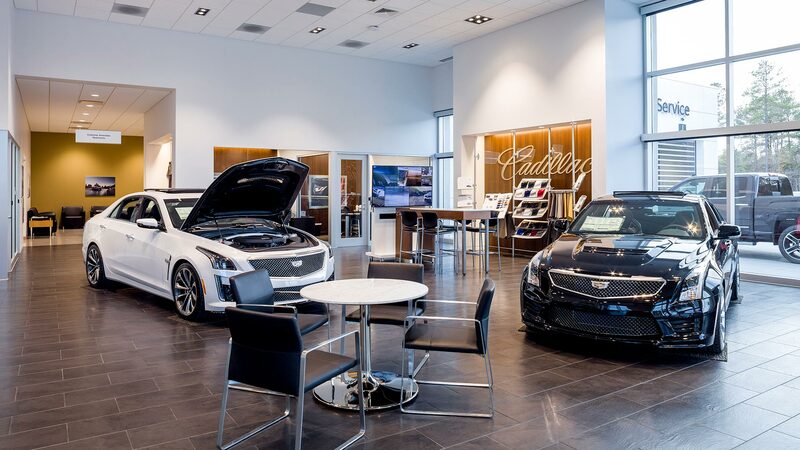 This multi-brand GM dealership brought to the Durham area a one stop shop for car buyers. 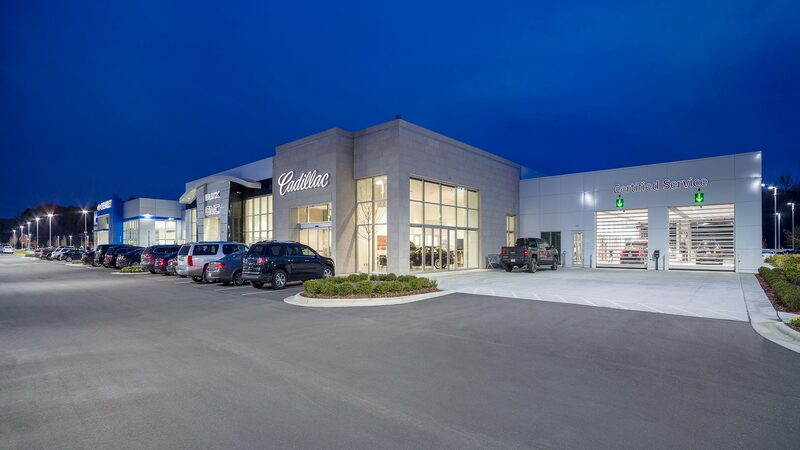 The challenge of housing multiple brands under one roof turned out to be what made the dealership stand out from all others. 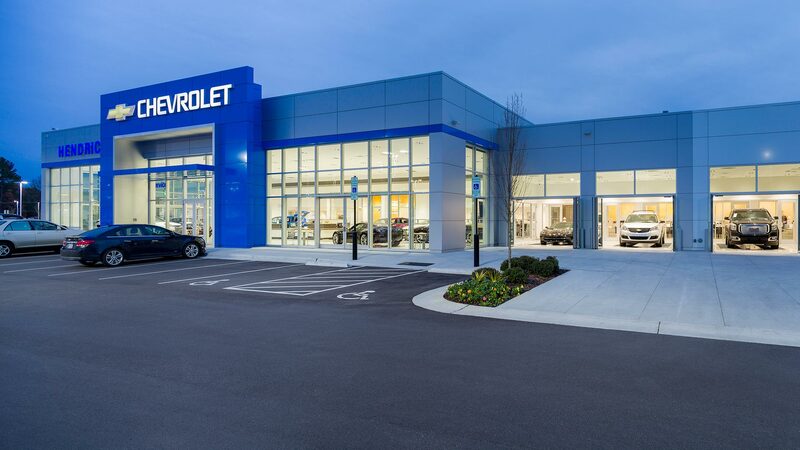 The Chevrolet blue entrance portal in contrast to the Buick GMC and Cadillac entrances create a visual puzzle that comes together seamlessly. 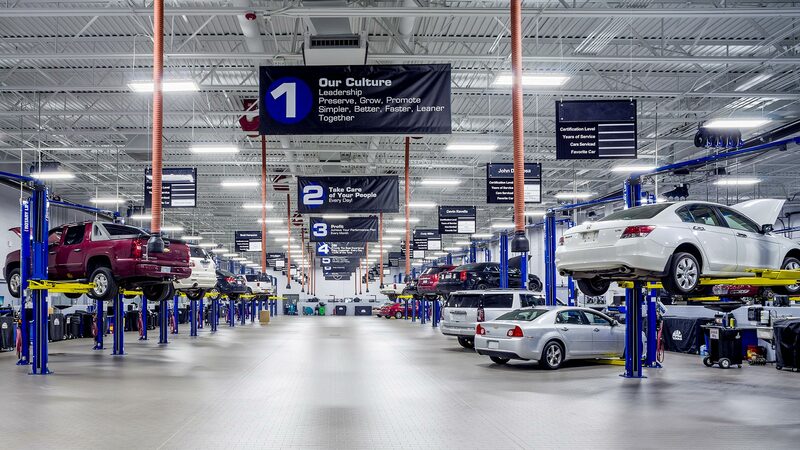 All of the brands share a common service department (with 31 service bays, 4 PDI bays, 6,500 sq. ft. of parts and core spaces), while each sales and service reception areas are representative of the individual brands.